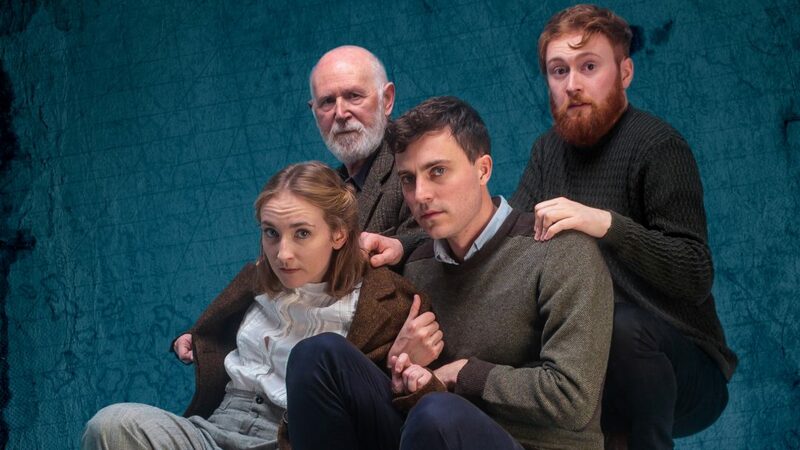 Award-winning Atticist have announced the stellar cast who will bring to life Outlying Islands this January – a revival of Scottish playwright David Greig’s powerful play, not seen in London since 2002. Rose Wardlaw (Eyam and The Winter’s Tale, Globe Theatre; Jubilee, Royal Exchange Theatre and Lyric Hammersmith; Call The Midwife), Ken Drury (King Lear and The Crucible, National Theatre; The Woman in Black, West End; Black Mirror), Jack McMillan (The Hard Man, Finborough Theatre; Vieux Carre, King’s Head Theatre; Blue Boy, Northern Stage) and Tom Machell (Life According To Saki, Atticist Off-Broadway at New York’s 4th Street Theatre; zazU, Soho Theatre; Every Blank Ever, Comedy Central) will be directed by Jessica Lazar in this production that demonstrates the lyricism and humanity that has made Greig one of the UK’s leading dramatists. Director Jessica Lazar comments, I’m really looking forward to getting into the rehearsal room and starting work on Outlying Islands with Ken, Jack, Rose, and Tom. They share a depth, comedy, and imagination in their performance, and an immediate complicity that crackles with excitement. For me, they feel like the perfect ensemble to take on the wild range of this remarkable play. Transporting us to a world where the line between reality and fantasy is blurred, David Greig’s funny, poetic and moving play bravely explores a society on the edge of immense change. Outlying Islands is inspired by real events, including Robert Atkinson and John Ainslie’s 1935 search for the Leach’s Fork-Tailed Petrel, as recorded in Atkinson’s Island Going. The play also reflects on the the British government’s decision to bomb an Island off the west coast of Scotland with anthrax during World War II, in order to test the efficacy of chemical weapons. Gruinard Island was closed for 50 years and only ‘decontaminated’ in 1990. Outlying Islands is at The King’s Head Theatre 9th January to 2nd February 2019.